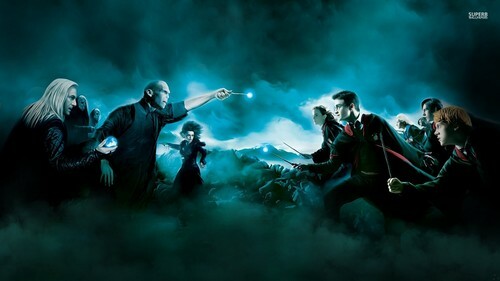 Harry Potter and the Deathly Hallows. . HD Wallpaper and background images in the 哈利·波特 club tagged: photo harry potter harry potter and the deathly hallows deathly hallows. This 哈利·波特 wallpaper contains 音乐会 and 喷泉. There might also be 火, 火焰, 地狱, and 烟幕.